DURING the ongoing heat of Zimbabwe’s summer, the incidence of livestock diseases transmitted by arthropods increases. I thought I would break off from cattle tick-borne diseases and share with you, readers and cattle breeders, some of the dangers of mosquitoes that proliferate during this time and that also contribute to increasing the risk of serious illness and even death in our prized livestock in Zimbabwe. Some vectors, not only disturb livestock to the point that animals do not feed properly, so that as a result those cattle that do not feed properly may result in weight loss in beef cattle, and dairy cows may produce less milk, but frequently also transmit diseases to humans. One such virus is West Nile virus (WNV). West Nile virus is a typical mosquito-borne flavivirus transmitted between mosquitoes and birds. Mosquitoes, for example, transmit many deadly and debilitating arboviruses, especially in the rain season, including WNV, Middelburg virus, Shuni virus, Wesselsbron virus and Rift Valley fever (RVF); while biting midges transmit blue tongue and African horse sickness virus (AHSV) throughout tropical and sub-tropical Africa which, in many instances, includes Zimbabwe. According to some zoonoses researchers, WNV is known for severe neurological signs such as stumbling, hind and forelimb paralysis, difficulty in rising and death in horses – over 30 percent of vaccinated horses may die or become disabled while unvaccinated horses that become infected with AHSV have a 50 to 90 percent risk of dying. In southern Africa, horses are required by law to be vaccinated annually against AHSV, which also infect other species, including humans, during the rain season. African horse sickness virus causes fever, rash, headaches as well as joint and muscle pain. In severe cases, it leads to paralysis, brain infections and even death in humans. Middelburg and Shuni viruses can infect many species, including horses and wildlife. All develop neurological signs in severe cases. 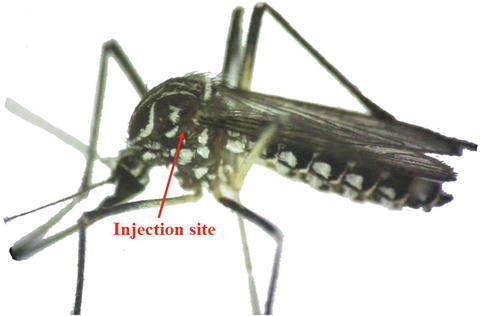 Usually, animals infected with WNV and, in all likelihood, the Middelburg or Shuni viruses cannot transmit the disease directly to humans or back to mosquitoes, although caution should be taken when handling the brain or spinal cord of animals that die from the virus. Wesselsbron virus and RVF may cause ‘abortion storms’ – large-scale abortion outbreaks – usually at a rate above 10 percent as well as death in sheep and cattle. Farmers too, can become infected when handling the aborted foetuses of these animals. Cases of WNV and Shuni viruses have been reported in dogs and even crocodiles, so carnivores are also at risk, particularly those in low lying hot basins of Zimbabwe. It is important for us to note that animals that die of any of these arbovirus diseases should, under no circumstances, be used/consumed by humans or animals. Here, I am reminded of a story told to me by a colleague and friend recently, upon his return from attending a funeral in Mhondoro where the mourners were greeted by hot, bubbling pots full of cattle meat which were passed around generously to the gathering mourners. What made it more thought-provoking was that the funeral had taken place on a Friday. Most urbanite women coming from the metropole whipped out their now empty office lunch-boxes (from their ubiquitous handbags or cars), packed them with the abundant succulent meat and surreptitiously enfolded them within their Zambias (sarongs) for their weekend takeaways. A comment was overheard about a guest, identified by her Louis Vuitton handbag, who was seen filling it with meat: “Amai vekuHarare vaisa nhindi dzenyama mubag reLouis Vuitton! Some of the men from Harare were also naturally gathered near the fire and the meat-grilling area, in eager anticipation of a few slithers of fire-grilled steaks. They were pleasantly surprised when offered abundant, generous slabs of thick beef cuts to grill. In between gulps of beer, comments soon abounded about: ‘Oh what a good man the deceased was’ and ‘Better than the usual cabbages served at funerals in Harare’, filtered through the evening breeze between mouthfuls of the juicy meat. The hosts, not to be outdone, had apparently provided not one, but three beasts for the occasion! This animal shows icteric mucous, weakness in leg muscles and emaciation. While unsuspecting mourners gorged themselves on the succulent offerings, others were suspiciously aware of their hosts’ abstinence, but readily attributed their self-denial to being pre-occupied with the death, busy carrying out funeral arrangements and even inconsolable grief! My colleague, on the other hand, between tears, solemnity and condolences had overheard two little herd boys (vazukuru) related to the hosts, saying: “Shaa! mombe dzakafa dzega mukoma, siyai vadye, isu taguta nehuku! My colleague was lucky to have listened to them and dutifully advised his driver not to eat the meat. Although famished, the driver understood and refrained from the feast. Urgent calls of nature disrupted many a journey on the way back to Harare. Some mourners were admitted to hospital with severe cases of food poisoning. Many cultural theories and questions were posited: “Asi pane vakazunza muswe wemombe here? 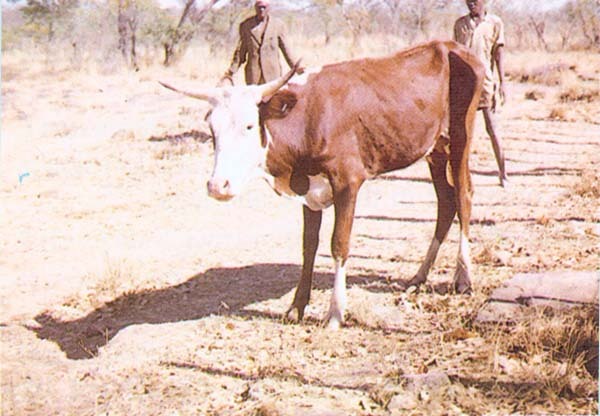 While it may be culturally impolite to enquire, be wary of generosity when it comes to cattle meat these days; especially at communal gatherings where the source of the meat is unknown – it could be contaminated and prohibited by law. For cattle and other livestock, keeping the environment clean and mosquito populations under control is the best method to help prevent many arthropod-borne diseases from becoming established. Control methods include draining standing water where mosquitos breed, such as excess irrigation water, flower pots and other containers – such as discarded empty tins, cleaning water tanks and buckets daily and fitting mosquito screens and fans to stables and sheds. Although vaccines exist for AHSV, WNV, RVF and Wesselsbron viruses, other preventative measures include spraying valuable animals such as horses with insect repellents containing DEET or alpha cyano pyrethroids, such as cypermethrin, to help protect against biting insects. 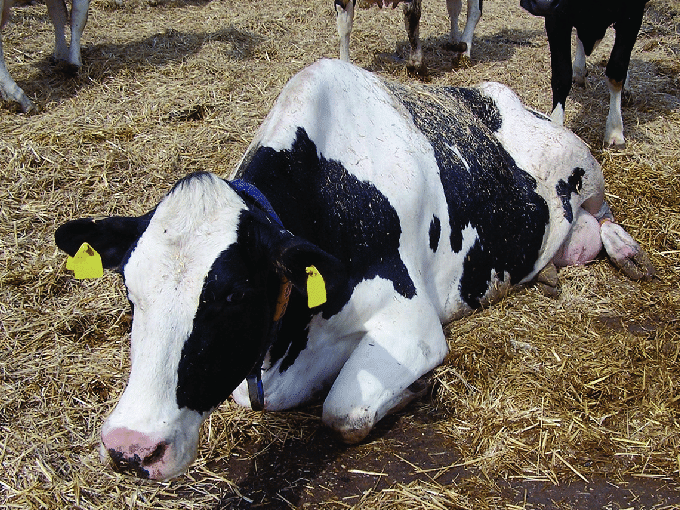 Other diseases livestock farmers should also be wary of are three-day stiffness sickness and lumpy skin disease during our hot, wet season; moreso during this age of global warming and its attendant climate change. Following summer rains are also worms which are a problem, particularly in sheep. A farmer should work closely with a vet in protecting livestock against diseases through drugs and other control measures. Dr Tony Monda holds a PhD in Art Theory and Philosophy and a DBA (Doctorate in Business Administration) and Post-Colonial Heritage Studies. He is a writer, lecturer, musician, art critic, practising artist and corporate image consultant.